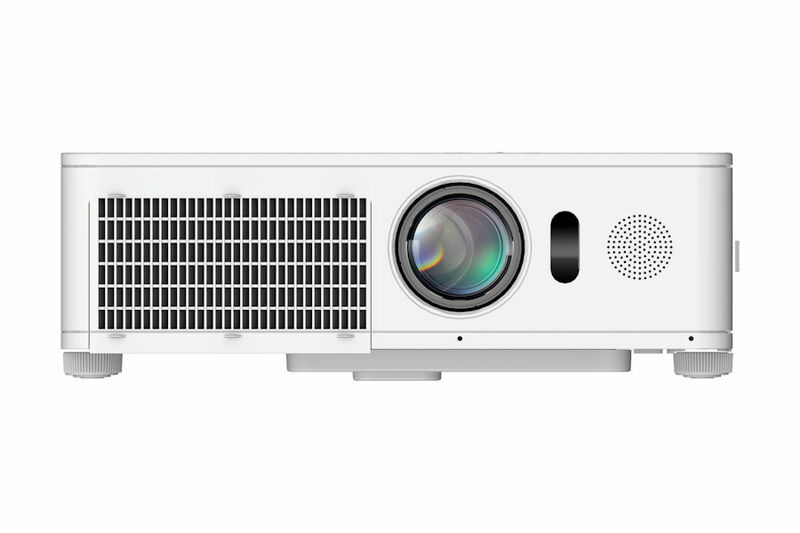 Our innovative new LED Projector series is the result of all our technical knowledge and experience. The LP-WX3500 is the very first LED projector to achieve new levels of brightness, by utilising the latest HLD (High Lumen Density) technology. 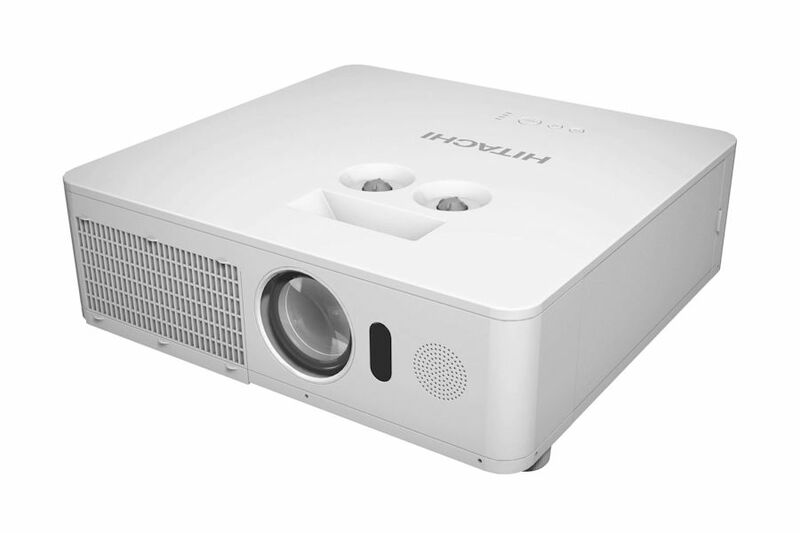 Equipped with HDBaseT, two HDMI inputs and HDMI Out*, Hitachi’s LED projector series is highly versatile. HDBaseT allows the transmission of ultra-high definition digital media signals via a standard LAN cable (Cat5e/6) up to a distance of 100m. HDMI Out outputs the signal from HDMI 1 or HDBaseT and enables connected projectors to show content on multiple screens simultaneously, perfect for conferences or large venues. HDMI 1 also supports MHL connectivity; mirror the screen of your MHL enabled smartphone/tablet on a projected screen. These models include Edge Blending and Warping* as standard, which allows you to create large images easily - with multiple projectors onto a curved wall. You can also use the Geometry Correction and Edge Blending functions simultaneously, allowing you to project onto spherical surfaces or corners. With no phosphor wheel, no colour wheel and no lamp, The LP WX3500 LED projector is more reliable and cost efficient. Our new models feature a hermetically sealed optical engine which prevents dust from being able to interfere with interior parts. The 24/7 operation mode also allows for the projector to have long running times, ideal for retail situations. This allows users to adjust the HUE, saturation, and luminance for each of the 6 LP-WX3500's colours (red, green, blue, cyan, magenta and yellow) without them negatively impacting each other. Meaning images can be projected in a way that showcases some colours more than others, making sure your presentation stands out. Accentualizer will make images look more real by enhancing shade, sharpness and gloss, increasing the clarity of the image. The HDCR function corrects blurred areas caused by room lighting or outside light sources. It creates an effect similar to increasing contrast, resulting in clear images even in bright rooms. 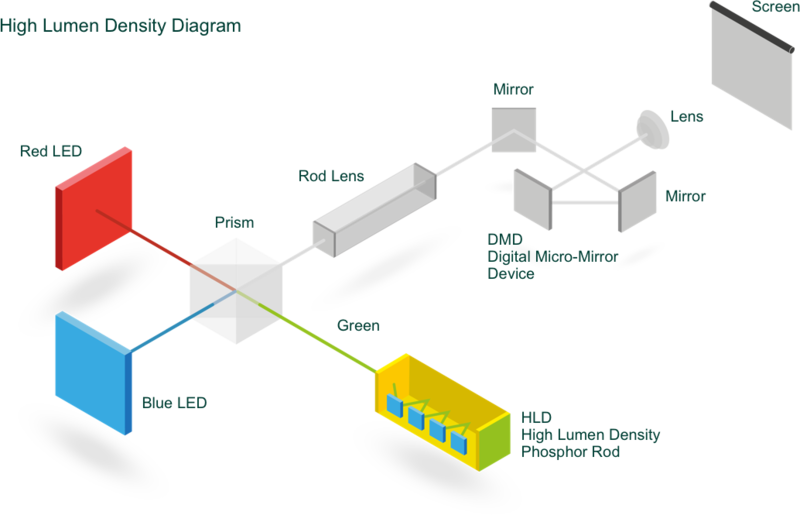 LED light provides a stable and reliable light source, with considerably less image flicker than with lamp projectors. This is a benefit to audiences that watch for long periods of time, such as schools, where flickering images have been known to cause headaches. The 24/7 Operation Mode allows the LP-WX3500 LED projector to have long running times, ideal for retail situations. Lamps can blow, if you need your projector working and can't afford down time, you may need to keep a spare lamp. 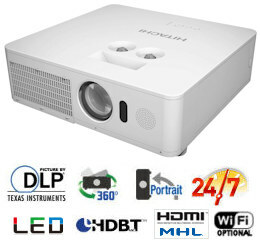 The replacement projector lamp for the Hitachi LP-WX3500 is the No Replacement.